The IMF have published a working paper (WP/19/74) by Reda Cherif and Fuad Hasanov called “The Return of the Policy that shall not be named: Principles of Industrial Policy”. They want to explore how to achieve high and sustained growth and look at particular at the “Asian Miracles”. They observe that there is little support or evidence in favour of traditional industrial policy but also that there are still proponents of greater state planning. But they note that: “The example of Hong Kong illustrates well the contrasting views on what made the Asian miracles. Many argue that its success was due to free-market policies (e.g., Monnery 2017) rather than industrial policy”. (iii) the pursuit of fierce competition both abroad and domestically with strict accountability. This obviously has very close parallels with Cowperthwaite’s policy mix. 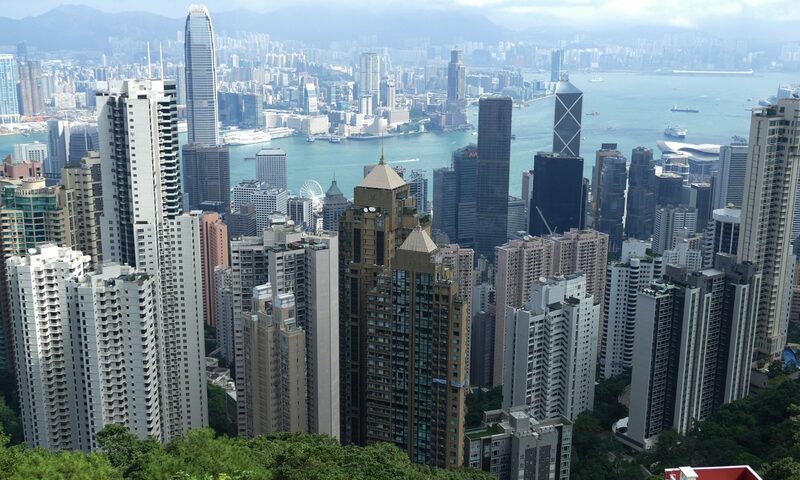 HBS Alumni magazine features Architect of Prosperity: Sir John Cowperthwaite and the making of Hong Kong. Christopher Olewicz writes in The Social Review magazine about different models for post-Brexit Britain including the “Singapore model”, the “Hong Kong model” and the need for a Labour generated “British model” too. The Economic History Review (Vol 71, Issue 4) carries a review of Architect of Prosperity by Prof Peter Cunich of the University of Hong Kong. 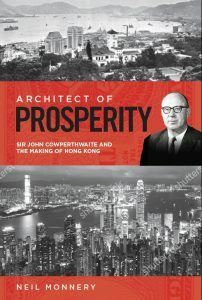 Neil Monnery, author of Architect of Prosperity, talks with EconTalk host Russ Roberts about his book–a biography of John Cowperthwaite, the man often credited with the economic success of Hong Kong. Monnery describes the policies that Cowperthwaite championed and the role they played in the evolution of Hong Kong’s economy. How much those policies mattered is the focus of the conversation. Other topics include the relationship between Hong Kong and China and the irony of the challenges Hong Kong faced from U.S. and British protectionism. David Warsh considers John Cowperthwaite and Architect of Prosperity in his online column of Economic Principals. But Hong Kong is just an island, right? No real country could succeed the way it had, could it? In fact the People’s Republic of China pursued a highly similar strategy as it entered global markets after 1978, encouraging foreign investment; entering light and medium industries first, rather than capital-intensive ones; turning agriculture back to its farmers; and, piling up enormous reserves as a precautionary measure.